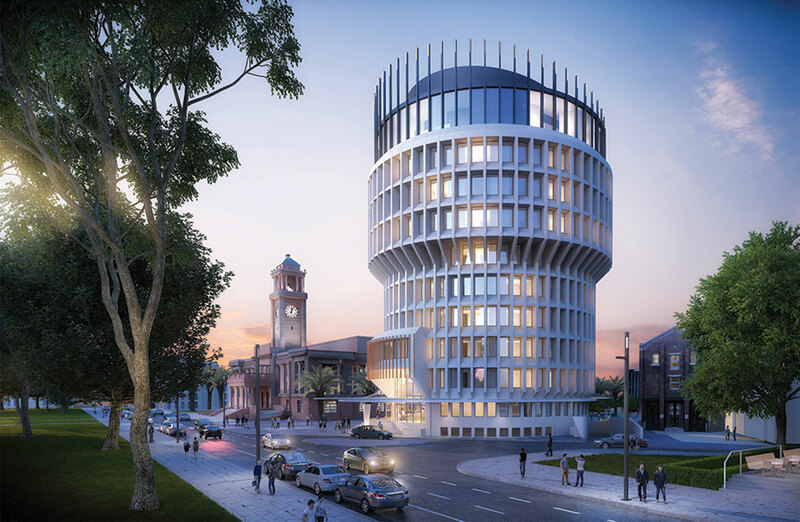 Internationally-backed hotelier Crystalbrook Collection has lodged plans to transform the city's brutalist City Administration Centre building into a five star hotel. The hospitality group, owned by Syrian billionaire Ghassan Aboud, will redevelop the non-heritage-listed building and current administrative headquarters into the city's first five-star hotel to be known as the Kingsley. The building, known by multiple names including the wedding cake, the round house, the champagne cork and the shuttlecock, has become an icon of Newcastle’s CBD skyline since it was opened in June 1977. Previous tenant Newcastle City Council has spent $7 million moving more than 400 staff from the CAC building to 5,550 square metres of new office space located on Stewart Avenue in Newcastle West. Following the expression of interest process that involved two separate rounds City of Newcastle representatives settled on a development that would generate new investment momentum. “The existence of a five-star hotel complete with a light rail station immediately across from it, will finally create the thriving cultural precinct our city has longed for," Newcastle lord mayor Nuatali Nelmes said. The five-star hotel will feature 136 luxury rooms, lobby bar, cafe with outdoor terrace and a new roof top with restaurant, swimming pool and gymnasium. It will also overlook Civic Park, the harbour and Merewether from its upper floors as well as stimulating the local tourism industry. Construction and fit out of the new hotel will begin as soon as City of Newcastle staff relocate to their new office on the corner of Hunter Street and Stewart Avenue in the new CBD that is Newcastle West. 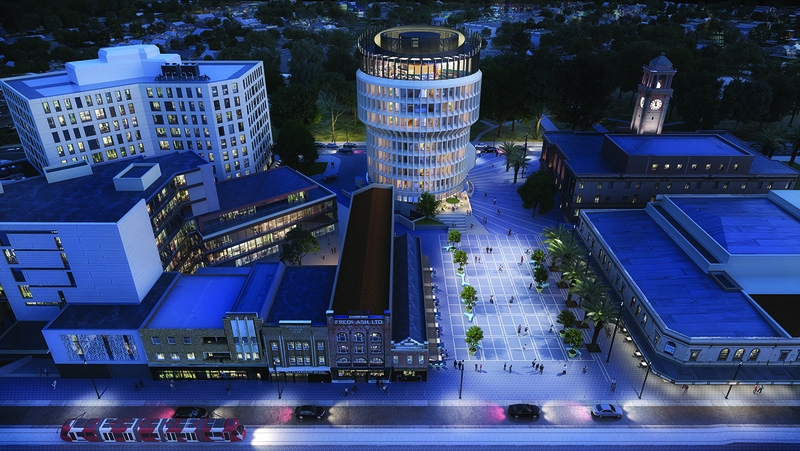 “We think the location, with the City Hall, the Civic Theatre, the Art Gallery and the War Memorial Cultural Centre right on the doorstep, makes it a perfect location for a five-star hotel,” Crystalbrook Collection chief executive Mark Davie said. 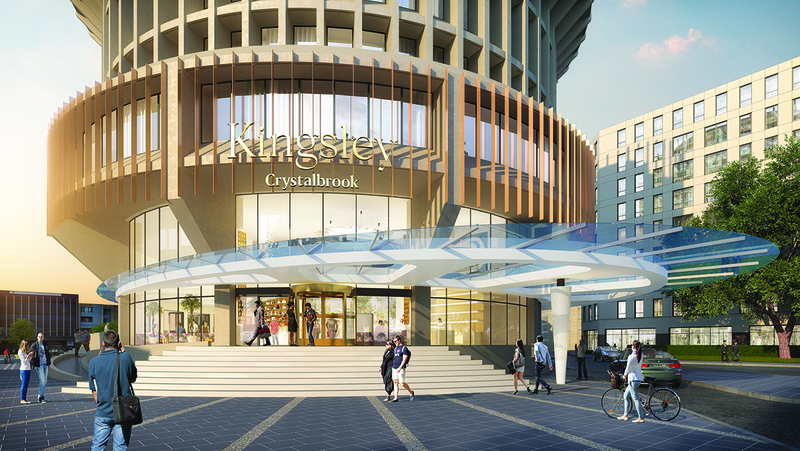 Crystalbrook now expects the Kingsley to be operating by November 2020. Crystalbrook has $100 million invested in three hotels that are about to open in Cairns as well as a lodge in Queensland’s outback. Crystalbrook Collection is also preparing to expand further north into Port Douglas by building a hotel at the Marina Mirage. Meanwhile in Sydney, Crystalbrook has bought Australia’s newest boutique hotel, which was developed and designed by Paul Fischmann, founder and owner of 8Hotels and acquired Little Albion, a boutique hotel in Surry Hills.